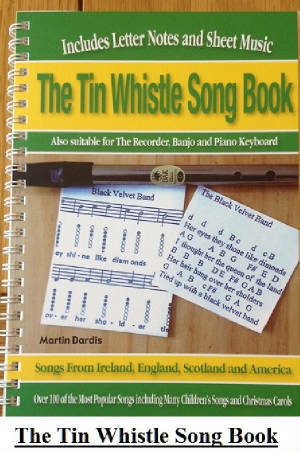 Sean South From Garryowen Tin Whistle And Sheet Music, this is the very same tune you would play for Roddy McCorley, the song about Roddy MaCorley was written before Sean Sounth From Garryowen. The first piece of music is for whistle in the key of D, and the second I have done in the key of C. The youtube video is of myself playing, I just play the first verse as there's no chorus and the other verses are the same. The letter notes are included in my book.